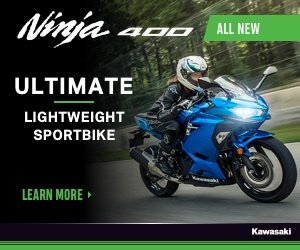 Motorcycle riders love to have their faces in the wind and those enjoying a full day ride literally face hours of constant buffeting against a helmet weighted head. Even those with windscreens or large wind shields can feel the winds pushing pressure against their back. This can cause neck and back pain at the end of most long riding or even short riding days. 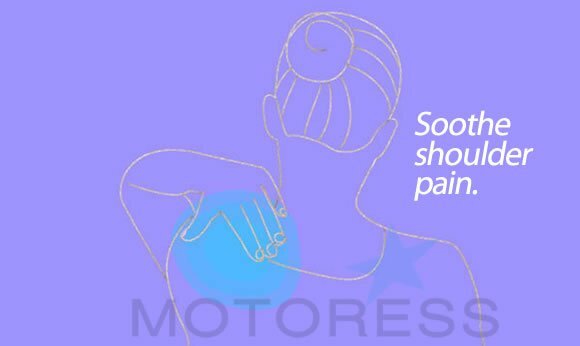 It’s common to feel pain across the shoulder area as well. 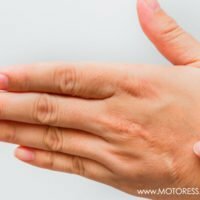 It’s not easy to find professional treatment but you can reap the benefits of a massage and relieve everyday aches and tension on your own with these self massage moves. Massage assistance equipment is nice but really all you need are your own hands to help release the pain in your neck, shoulders and even back. Just remember though, never to put direct pressure on your spine. 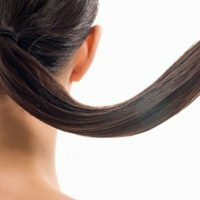 Try these three self massage techniques to beat neck and shoulder pain. Take two or three t-shirts or hotel towels and twist into a thick braid-like shape. Stretch these and place them behind your neck, holding one end in each hand. Slowly rub the twisted band up and down your neck to release tension. Hook the fingers of your left hand over your left shoulder. Your upper trapezium muscle will be beneath the palm of your hand. Give it several good squeezes. 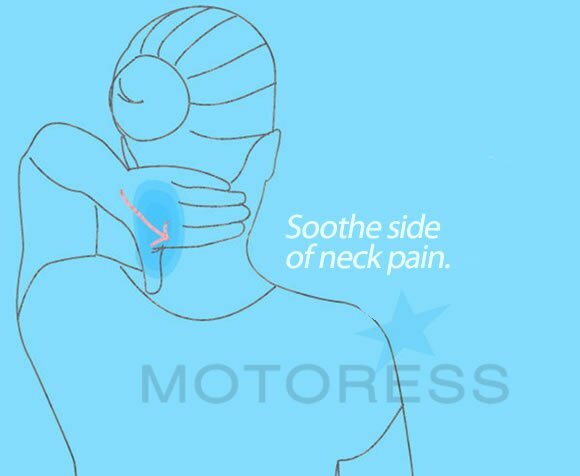 You can also roll or rake your fingers over the muscle, working from the outside in towards the base of your neck. Repeat on the right shoulder with the right hand. Sleep well and ride revived tomorrow!